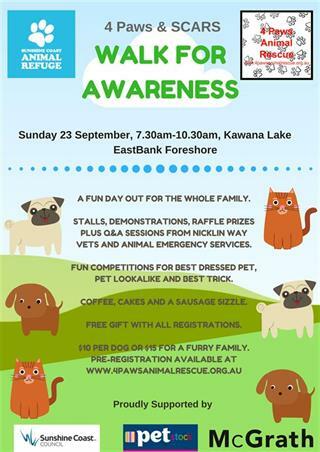 Once a again we are excited to have a stand at this year’s up coming SCARS & 4 Paws Dog Walk 4 Awareness and FurFamily Expo on the 23rd of September! We will be giving out some great freebies and our vets and nurses will be excited to give your four legged friend some big cuddles! So make sure you come and see us!